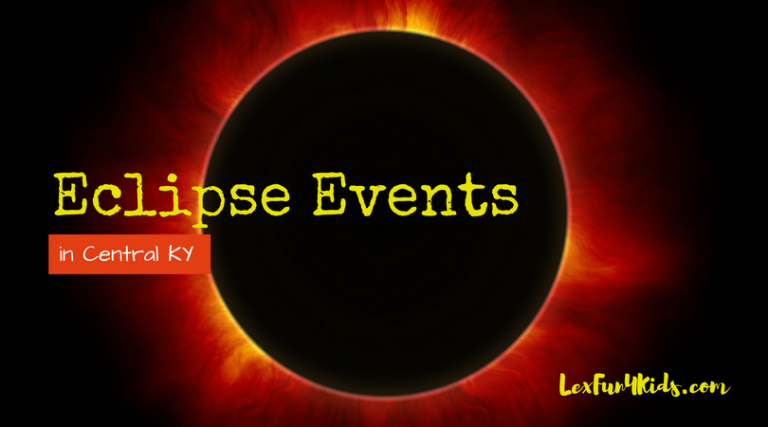 The list of eclipse activities is growing! Keep checking back for more updates! Many offer free glasses but it will probably be while supplies last. Park in the Dark KY Horse Park Viewing Party (Rolex Stadium) (9 am -Glasses passed out) 1:30 – 3 pm During the event, the eclipse will be broadcast on the scoreboard monitor in Rolex Stadium, kids crafts will be held 1:30 – 2:15 p.m., and there will be music and food trucks available. The park will also offer half-price admission for the day allowing guests to enjoy all of the normal schedule of demonstrations and shows in the morning, and shuttles will be available to take guests to and from Rolex Stadium for the viewing party. In addition to the day’s planned special activities, the first 250 park guests will be given free eclipse viewing glasses as part of their park admission, beginning at 9 a.m.